While chopping mortises for my latest project the unthinkable happened. 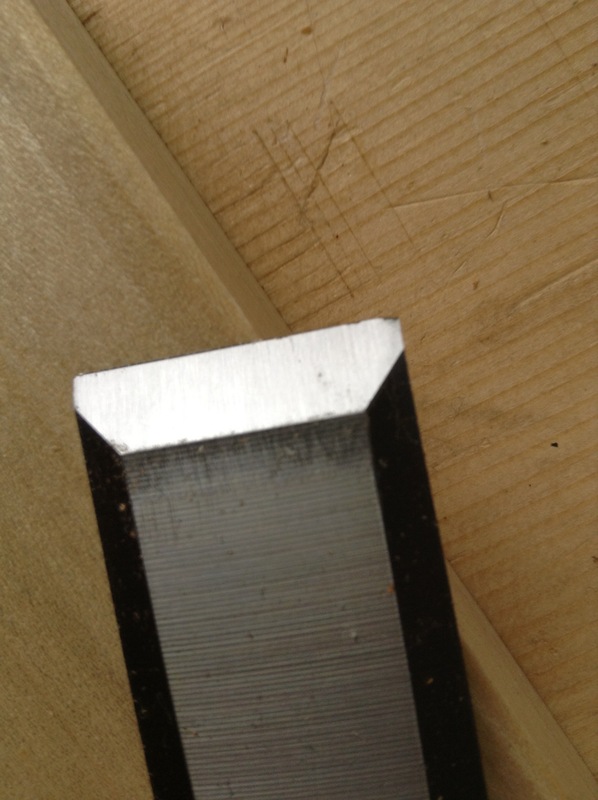 My English mortise chisel, that is specifically designed for this type of abuse, fractured at the tip. At first I was experiencing many different emotions. Then, I did some searching on the net. 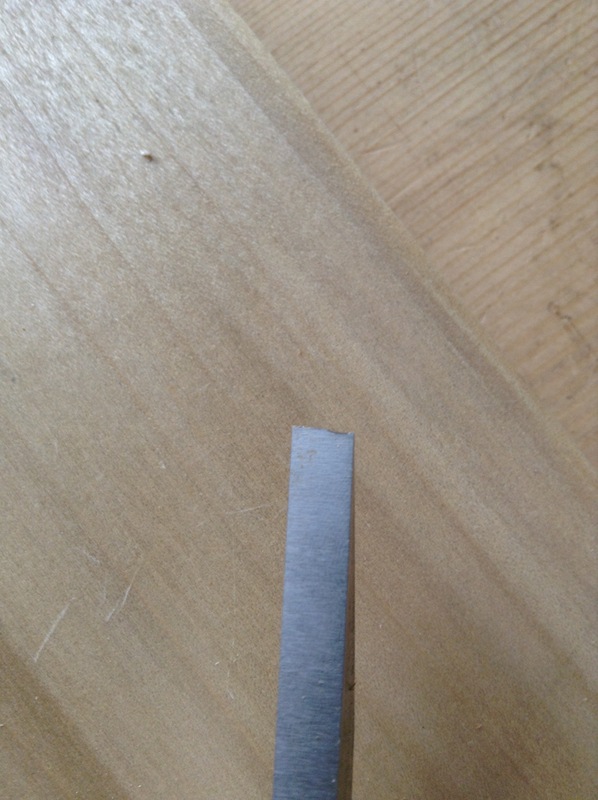 Apparently this is fairly common when the chisel is new and hasn’t been through a full sharpening session. Ok, so I will give it a shot before I decide to return it. Here you can see my repair. 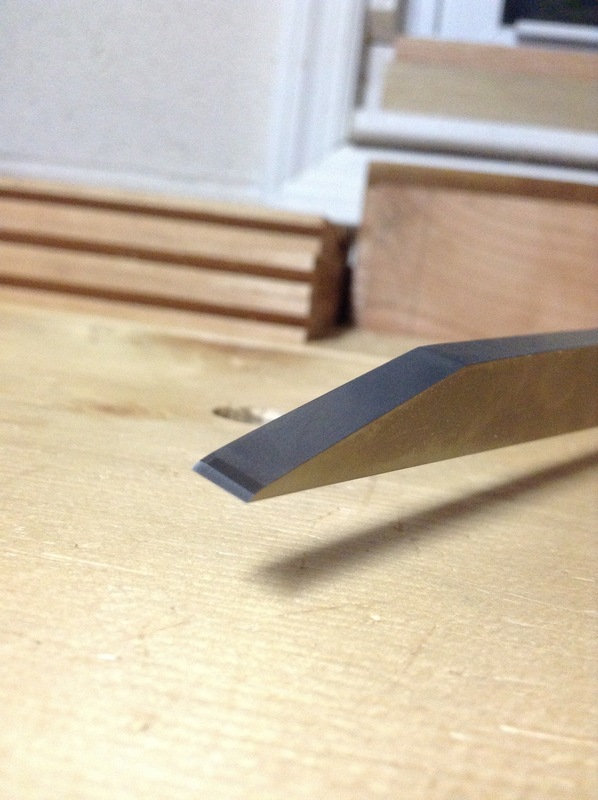 I had to square up the tip first, rework the primary bevel at 20*, and create the new secondary bevel at 35*. Why is there no degrees symbol in WordPress? Sigh. I have six more mortises to cut after I finish the panel I am working on. Hopefully the resharpen will hold up. A couple days after I fractured the tip on the mortise chisel, I damaged one of my bench chisels. Poop. I have socket chisels that should always be picked up by the socket. Never by the handle. Well, I forgot. Down to the concrete floor went my 1″ chisel. I instinctively put out my boot to soften the fall. Luckily I wasn’t wearing my slippers that night. Yes I do woodwork in slippers sometimes. The chisel did hit my boot, but it wasn’t enough to soften the blow. After I fetched it from underneath my car I held it up to the light and surveyed the damage. The corner took the brunt of the blow. 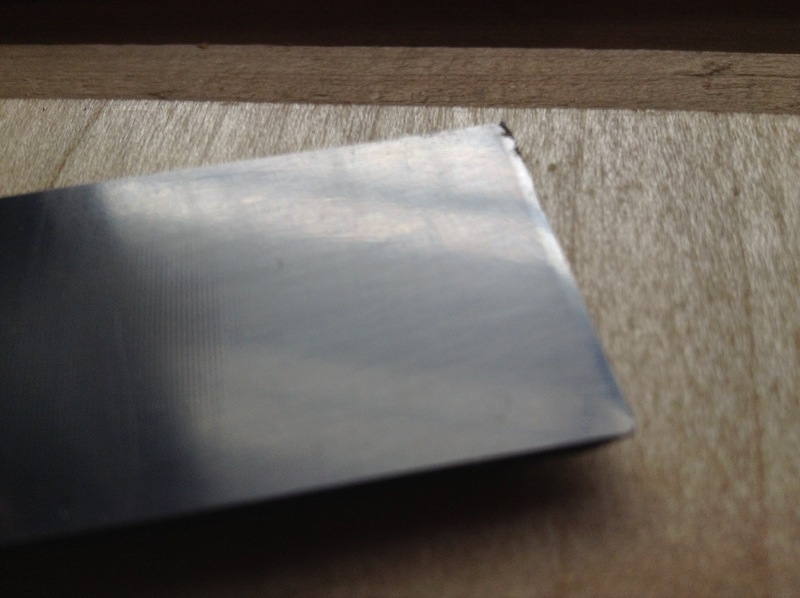 It’s hard to tell from the photo, but it was bad enough to require some serious regrinding. I quickly put it back into working order. This entry was posted in hand tools, woodworking and tagged Chisel, hand tools, sharpening, woodworking by villagecustomfurniture. Bookmark the permalink. oh my Jason! all that must have been heart wrenching! i’m glad you were able to repair them. I work on a concrete floor also, and have felt that stomach retching feeling as a chisel slips out of my hand and starts it’s way to the floor. The result is the experience of learning how to put the edge back on the chisel. I’ve toyed with the idea of buying a couple of rubber mats to stand on while working with hand tools. 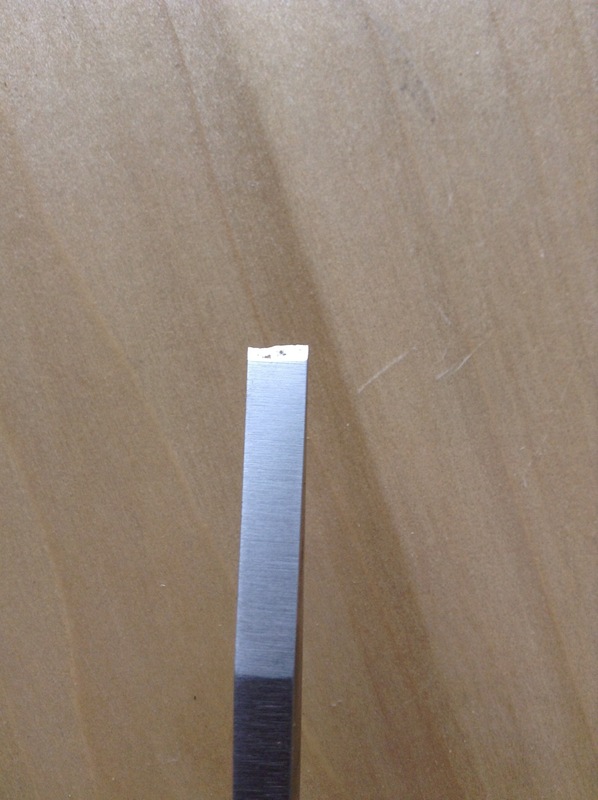 You done a really good job of restoring the edge on the mortise chisel, actually looks better than the factory edge! Haha got to love the kick save technique.